Note: This interview originally ran during the 2014 Hamptons International Film Festival. Meet the Patels opens in select theaters on Friday, September 11, and in coming weeks. Find tickets, and follow the film on Facebook and Twitter. After a just-can’t-commit breakup, Indian-American comedian Ravi Patel throws in the towel and agrees to let his endearing parents create a “biodata” for him, officially putting him on the semi-arranged marriage market. Camera in hand (aided by light whimsical animation), his sister Geeta documents the whole endeavor, in hilariously candid fashion, turning Ravi’s international search for a love connection into a uniquely family affair in Meet the Patels. The two generations of Patels are warm, open, and pragmatic, and their particular brand of optimism makes them ideal tour guides through the cultural conundrums of modern dating in our ever-changing society. 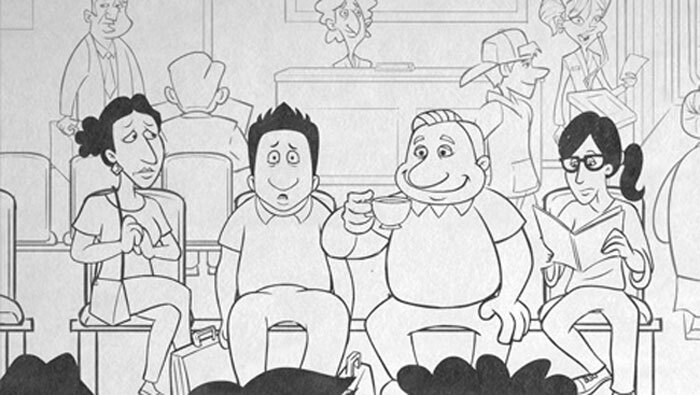 Please describe Meet the Patels in your own words. Geeta Patel: A funny film about love and family. Ravi Patel: It’s a “romantic comedy” about me and my parents searching for the girl of their dreams. Whose idea was the movie in the first place? Geeta: It was my idea. Ravi: It was my idea. Had you been looking for a project to do together? Ravi, did you have any reservations about putting your love life on the big screen? 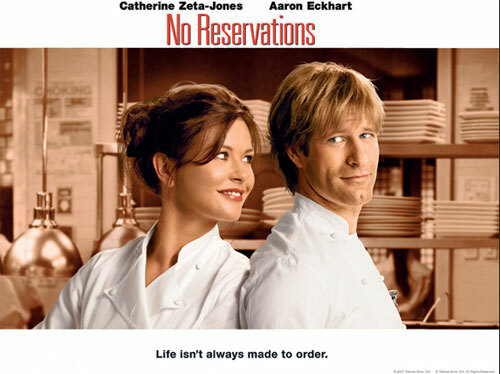 Ravi: I had no reservations, but I guess life isn’t always made to order (see image below). I’m kidding, totally had reservations. I still do. Life isn’t always made to order. Geeta, is there a sequel in the works, with you in front of the camera and Ravi behind? Geeta: Never, ever, ever. I prefer to feel sorry for myself off-camera. Ravi: GREAT idea! How much money do you have? What has been your experience at screenings so far? How have audiences reacted? Any marriage proposals? Geeta: So fun. Theaters have been packed and audiences have been laughing like crazy. We didn’t expect this, so we high-five A LOT. Ravi: No marriage proposals, but obviously that’s why we did this, so let’s keep the festivals comin’!… It’s been so fun, especially because we’ve been able to experience the festivals as a family. When people meet Mom and Dad at the festivals, they go crazy as if they are Brangelina. It’s hilarious. Geeta: We hope audiences will see our story and remember that the greatest relationships take more work than we feel we can bear, and yet they lead to the greatest experiences and love of our lives. Whatever the sacrifice, when everyone tries, miracles will happen and love will come. Ravi: I’d like audiences to just think, “Wow, that was different, that was creative, it made me feel, and it made me think.” That would be the greatest reward. That, and theatrical distribution. Geeta: Learn to ride a bike. At some point, you will need to sell your car to pay the post house. Ravi: Hahaha, I like Geeta’s answer. I’d also say that while it’s important to bring in brilliant collaborators, remember that’s it’s ultimately your story, your voice. Take the time to make the film YOURS, because regardless of how it does, you want to feel like you made something that provided its own unique creative experience for yourself. Also, plan on the process taking five times the time and money than you thought. What are you most looking forward to at the 2014 Hamptons International Film Festival? Meet the Patels opens in select theaters on Friday, September 11, and in coming weeks. Find tickets, and follow the film on Facebook and Twitter. Geeta V. Patel is the writer/director of the upcoming feature film Mouse and also directed the real-life comedy Meet the Patels. Patel made her directorial debut with the documentary war thriller Project Kashmir, which led to directing fellowships at Sundance and Tribeca. A graduate in Comparative Area Studies from Duke, Patel was inspired to enter storytelling by Anthony Minghella, who she met while studying in Berlin. She was recently Visiting Artist in Belarus and Turkey as one of 29 filmmakers chosen for President Obama’s film delegation. 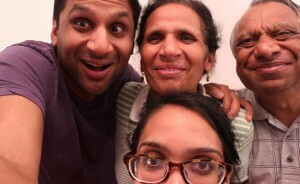 Meet the Patels is Ravi V. Patel‘s directorial debut. As an actor, Patel is most recognized for his work on Scrubs, It’s Always Sunny in Philadelphia, Transformers, Powder Blue, and The New Normal. In 2013, he co-founded “This Bar Saves Lives” – with actors Ryan Devlin, Todd Grinnell, and Kristen Bell – which gives a meal to a starving child for every granola bar they sell. Ravi also co-manages an investment group that focuses primarily on health, wellness, and social enterprise startups. He graduated from The University of North Carolina with double majors in Economics and International Studies.